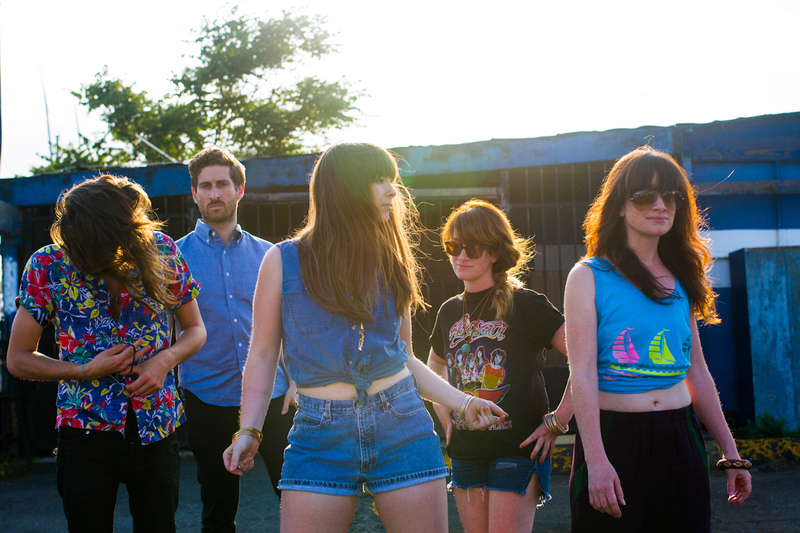 Hey Anna’s newly-released debut album, RUN KOKO, is a must-have summer 2015 record. Swirling psychedelia and crunchy indie rock combine with catchy melodies and memorable riffs to create the perfect listening experience. 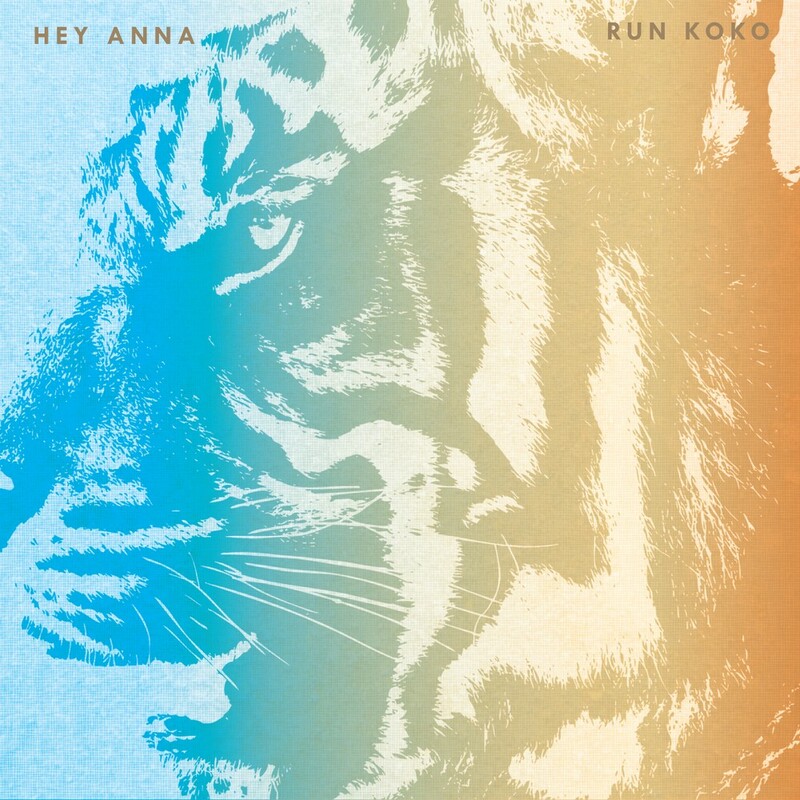 Shining above the competition is hard to do as an independent artist, but Hey Anna make it look easy on RUN KOKO, their long-awaited debut album (out today, 7/7/15). By experimenting with different musical styles, employing a variety of songwriting techniques, and creating songs with mindfulness to both melody and instrumentation, Hey Anna have concocted a cohesive, colorful record that encapsulates the warmth, the sunshine, and the feel-good nature of summer. Hey Anna’s music has been somewhat of an Atwood Magazine staple in recent weeks. We featured the band’s single, “Don’t Talk Stop,” in early June. We also caught their killer set at Brooklyn’s Northside Festival, leading Atwood Magazine to dub Hey Anna our current Artist Of The Month. Whether they’re playing live or in-studio, Hey Anna always deliver, which is uncommon not just for an unsigned independent act, but for nearly all of today’s up-and-comers. Few artists are creating such diverse arrays of sounds, and when you combine those musical elements with the Rauch-Sasseen sisters’ penchant for crafting beautiful, cryptic poetry, Hey Anna stand tall. RUN KOKO is the quintessential summer record: Heavy and light, eclectic yet coherent, it offers an abundance of flavors while maintaining a clear musical identity. Swirling psychedelia and crunchy indie rock combine with catchy melodies and memorable riffs to create the perfect listening experience. Yet RUN KOKO is solid not only as a full album, but also as a collection of individual, standalone songs. Hey Anna set the pace from the start with “Island,” RUN KOKO’s hypnotic album opener. Glazed harmonies and a constantly driving beat create an odd dichotomy between musically relaxed and full-throttle sensations: The push and pull is enthralling, and an apt introduction. The band follows that up with the riff-defined “Cloudbird,” a gorgeous keyboard-driven piece with a cascading chorus. “By The Bay” is perhaps the most eclectic and progressive song on the record: Hey Anna come off as a mature, female-fronted Beach Boys with more oomph on this song that bears the influence of Pet Sounds, as well as Abbey Road. Conversely, Hey Anna aim for a ‘mainstream’ (controversial term) rock sound with “Move Your Body,” whose crunching overdrive and killer guitar solo, courtesy of lead guitarist Jamie DiTringo, offer a minute’s reprieve from the haze. Yet even here, with clever lyrics and vocal overlays, Hey Anna manage to give their own signature to an otherwise straightforward rock track. Atwood Magazine has already said a great deal about “Don’t Talk Stop.” Here’s what you need to know: Characterized by crunchy, driving electric guitars and the group’s signature, reverb-swathed vocals, “Don’t Talk Stop” is a midsummer night’s daydream, a semi-coherent existential trip down the sun-soaked New Jersey coastline. 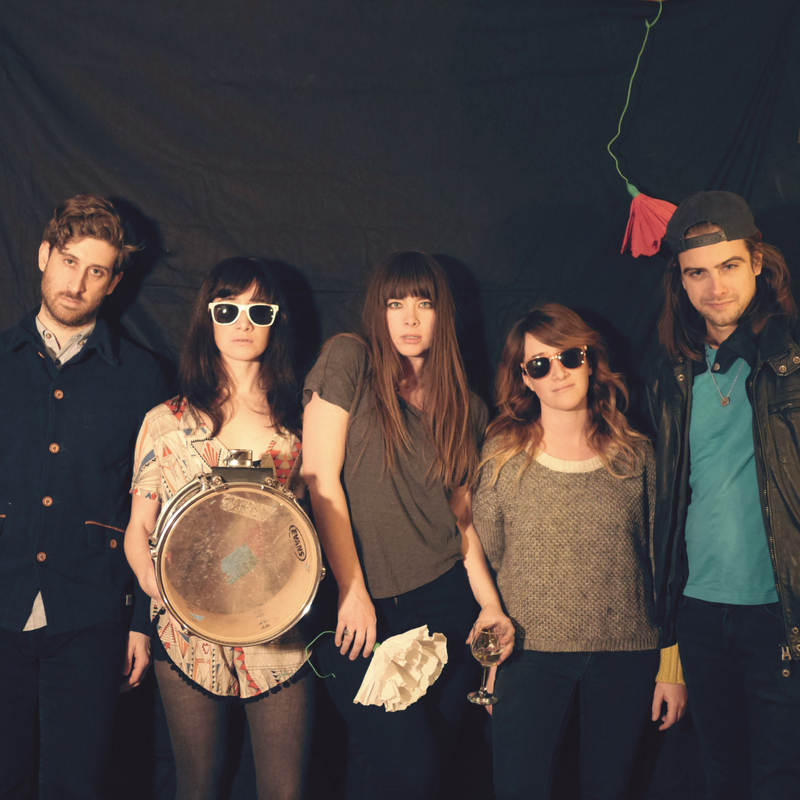 Sun-drenched indie rock with hints of psychedelic and pop influence color Hey Anna’s catchiest song yet. “White Fang” is as delicate as a flower, and just as mysterious. Beautiful singing mixes with a heavy and ethereal reverb-laden guitar reminiscent of Australia’s Temper Trap. Just as Temper Trap are wont to do, Hey Anna beef up “White Fang” as it progresses, and the song eventually culminates in a breakdown of withheld energy. RUN KOKO comes back to life on “Anaphaze,” a fun song about technological dependence that combines guitar riffs, pounding drums and synth pads. The altered beat in the chorus will make you want to rewind and listen to the song again and again. The piano gets its fun in the sun on “Tangerine Lightening,” a quirky number with high, taut vocal lines. It’s the kind of playful singing one might see in a musical number, and it’s nice to know the Rauch-Sasteen sisters, as seriously as we’re sure they take themselves, also know how to have a laugh. “Reprise” is exactly that – a whacked out, lo-fi reprise of the record up to this point. Remember Oasis’ “Swamp Song”? A Fleetwood Mac-like rock ballad, “If You’re Wondering” is as heartfelt as it is melodically rich. “If you’re wondering how I’m doing, I’m fine,” sings a Rauch-Sasseen sister to a faceless ex-lover. Piano and electric guitar find a neat balance and trade-off in this song, as Hey Anna break instrument barriers and stretch. “Little Things” is a quaint finger-picked ballad. A mix of falsetto and chest voice give this song an additional push to round off the album’s second half. Hey Anna start to slow things down on “Paper Door,” taking their time in-between the verses to let their dreamy music breathe. The great thing about this slower pace is that it allows everyone time to explore their instruments and develop their individual parts, making “Paper Door” a deep cut, but also one of the finer tracks on RUN KOKO. Settling the album down after its climbs and descents is closer “Mt. Picchu,” a slow, harmony-fueled lullaby and magnificent poem. This is the kind of comprehensive end everyone strives for, but few can achieve: The depth, eclecticism, and sheer talent of Hey Anna are fully exhibited on this track, as the band do their best to close RUN KOKO off as strong as they started it. Hey Anna’s surreal world finally comes to a close in a beautiful, sunny haze. Hey Anna should be your next favorite band. With such warm, sun-drenched psychedelia-infused rock, what better way to describe RUN KOKO than as the album of the summer?